Call it today’s must read. Streetsblog’s Sahra Sulaiman writes movingly about the needless death of Frederick “Woon” Frazier in South LA last year. And the justice that may finally be in the offing, with charges finally pending against the young woman who ran him down while speeding in the parking lane, and left him to die in the street. As well as the heartbreaking effect the loss of her only son — and the father of her newly born grandson — has had on his mother. “I love you, too, son,” she said. Five minutes later, he was dead. Seriously, if you can get through this story without tears in your eyes — or anger over a city where people on bicycles are nothing more than car fodder — you’re a stronger person than I am. And don’t get me started about the heartlessness it takes to leave another human being bleeding in the street. Or the snail’s pace of justice that takes a full year to file charges after the driver confessed. I’ve been a fan of Sulaiman’s writing for years, ever since I briefly worked with her as a guest editor for Streetsblog. But this may just be the best work she’s ever done. A fundraiser and memorial ride will be held for Frederick “Woon” Frazier next Sunday. And a crowdfunding page for his son is still open, having raised just over $1,000 of the $10,000 goal. There’s now a $1,000 reward for the thief who rode off with a $5,000 road bike from a Costa Mesa bike shop. The war on cars may be a myth, but the war on bikes goes on. And on. A Toronto man faces a charge of attempted murder for whacking a 40-year old bike rider with a golf club, knocking him off his bicycle; the victim was hospitalized with life-threatening injuries. 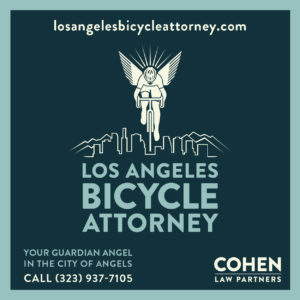 Nineteen-year old Lenrey Briones was accused of being the bike-riding South LA Slasher who permanently disfigured seven people in a series of random knife attacks; he’s charged with seven counts of aggravated mayhem, two counts of attempted aggravated mayhem and one count of attempted second-degree robbery. This is who we share the roads with. You know you’re drunk when you back through a Culver City intersection, hit a parked car, then pass out while you’re being frisked. Thanks to Ted Faber for the heads-up. Officials in Carlsbad says bad behavior by scofflaw mountain bikers is destroying the city’s nature preserve. Seriously, always ride with respect for the environment. And stick to the damn trails. 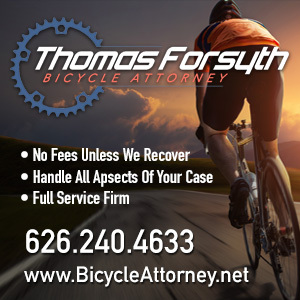 A San Diego man will receive a whopping $20 million settlement for a solo bike crash that left him confined to a wheelchair after riding into an open construction trench in the Sorrento Valley; the city is on the hook for $1.5 million of that. Although something tells me he’d give back every penny just to be able to walk and ride a bike again. A BMX rider from San Diego ran off to join the circus. And came back this week as one of five BMX riders performing with Volta by Cirque du Soleil. Apple Valley police are looking for a bike-riding burglar who broke into a coffee shop early Saturday; he should be recognizable by a “distinct” mustache and mismatched wheels on his bike. Sounds about right. 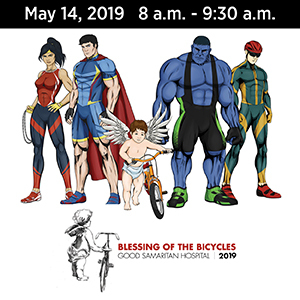 Concord conducted its own traffic safety crackdown on Saturday, ticketing 33 drivers, 27 pedestrians — and just two bicyclists. CBS looks back at a 20-year old 60 Minutes story about a Citrus Heights man who got 35 to life for stealing a bicycle under the state’s three strikes law; he finally got out after 19 years. Now that’s more like it. A Flagstaff AZ city intern is mapping every sign, trashcan, bench, bollard and fence on the city’s 54-mile trail system to upload it to the city’s digital mapping system. It would be nice if Los Angeles did something similar so they had some idea what the hell is going on with our trail and bikeway system. And notice I didn’t use the work “network,” because it ain’t even close to being one. 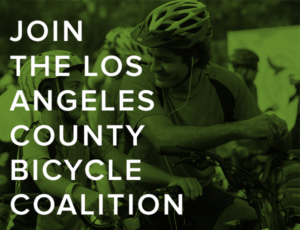 A nonprofit bike advocacy group in my bike-friendly hometown is looking for a new executive director. Arkansas is three months away from being just the second state to implement the full Idaho Stop Law. California could have been, but opposition from truckers, AAA and the CHP killed it every time it’s been introduced in the legislature. Wisconsin’s new Democratic governor wants to restore the ability of state and local governments to use eminent domain to build bike and pedestrian paths. Don’t mess with mom. A Georgia man is behind bars after an angry mother tracked down her son’s stolen bicycle online, and identified it for police. She gets it. The mayor of New Orleans introduces a bike safety initiative by reminding residents that we are all traffic. And the tips for motorists are on target — especially reminders that harassing bike riders is illegal, and to expect to see bicyclists in the traffic lanes. Speaking of the Big Easy, an op-ed by an urban planner says the city’s rules and roadways are stacked against bicyclists and pedestrians. Even Havana, Cuba has a new public-private bikeshare system, and bike lanes to support it. A former Canadian cop saved a life on a busy Hawaiian road when he stopped in the middle of a descent to shepherd a rare triceratops-like chameleon to safety; the lizard clearly took a liking to him, following his bike across the roadway, then climbing up on his seat to say hi. An English father wants to know why his son is still behind bars, 12 years after he was convicted of stealing a bicycle when he was 17. An Irish writer describes what he calls the six kinds of bike riders you’ll meet in Dublin, saying they’re all crazy. Or as he puts it, “Cycling in Dublin always felt like the behavior of post-Catholic masochists to me, stubborn fools at war with reality.” Meanwhile, the Irish Times says at least ten percent of the city’s transportation budget should be devoted to bicycling. Obeying the law on your bike could get you a cash prize in Dubai. A 65-year old Pakistani blacksmith is turning heads with his homemade double-decker tall bike. Just more evidence that we have more in common with people from other cultures than we might realize. Yes, we have to avoid angry drivers, but at least we don’t have to dodge ‘roos. Twenty-five-year old Italian pro Alberto Bettiol scored his first career victory with a surprise eleven-mile solo breakaway in the grueling Tour of Flanders. The women’s triathlon team from my hometown university swept the podium at this year’s Collegiate Club National Championships. UCI declares a turf war, ordering cyclists not to participate in an e-mountain bike race sanctioned by a motorcycling group. Pizza delivery rider by day, crime fighter by night. If you’re going to review a kid’s bike, might as well let a kid do it. And before you jump out to attack a bicyclist, remember to put your car in park.